You’re embarrassed to send anyone (including your Mom) to your out-of-date, impossibly old website, which is keeping you from gaining important press opportunities and interviews that could grow your brand’s following. You’re frustrated you have to work so hard and spend so much time and money to get clients and customers online when everyone else makes it look so damn easy. And that comparison game is making you wonder if you deserve to be in business at all. Eek! Let’s get out of this fear-spiral, shall we? 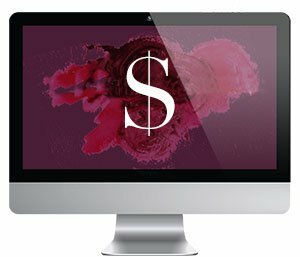 Let’s uplevel your business by turning your website into a strategic selling machine, (while still looking damn good in the process). A Brand Discovery Workbook to complete so you’ll gain clarity around your business’s purpose, goals, brand positioning, audience, marketing strategy, and design preferences. Zoom coaching sessions to keep you on-track, overwhelm-free and taking action. A Copy Writing Workbook helping you to develop text in your own brand voice. Brand Design, which includes a custom-made logo, mood board, and branding guide so you have a professional, sophisticated and cohesive brand presence across print, web, social and beyond! A strategic, responsive WordPress website design that looks great on desktop, tablets and phones, including blog migration and integration with e-mail marketing software. E-Commerce and/or Membership functionality can be easily added. Matching social media designs for Facebook, Twitter, YouTube, Google+ and iTunes so your social experience matches your website design. Lead Magnet + Email Template design to entice people to join your e-mail list. An Email Automation Sales Funnel for the people who join your list that entices them to buy your products and services. A pack of promotional graphics to show off your new brand on social media, your blog, and your newsletter like the boss you are. A Digital Strategy Roadmap on how to market and build brand awareness, increase engagement among website visitors, where to advertise, attract new customers, get PR, and leverage influencers. A website warranty ensuring your site is operating at top-notch capacity. Videos on how to use your website and make updates yourself. “After launching the site, my daily optin rate has doubled and my bounce rate which hovered around 80% plummeted to 1%. I’m excited to see how this new site impact my business over the next year. It’s already making a difference. 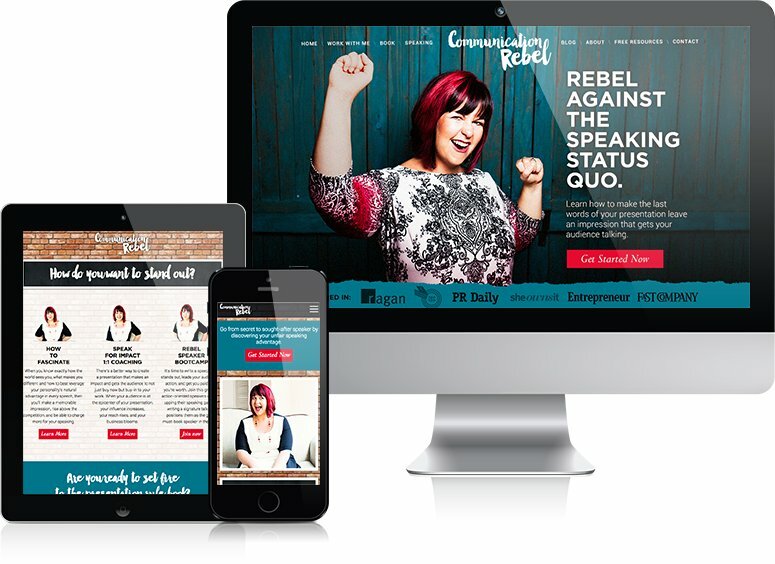 When I wanted to take my business to the next level, I knew that my DIY’d website wouldn’t do. I wanted a designer who creates gorgeous sites that were conversion optimized (in a non-Internet dude bro kind of way). After talking with Natalie, I knew she was up for the job.